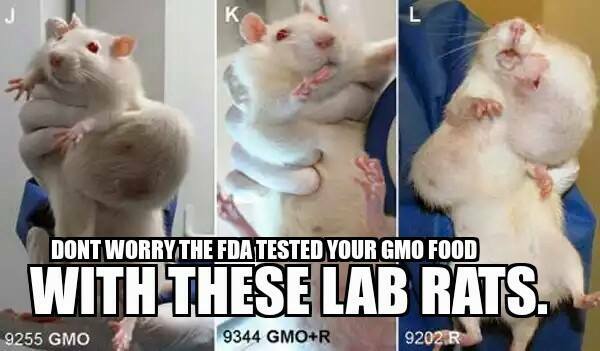 The author of this meme would have you believe that GMOs cause cancerous tumors. The main problem with this is these mice are Sprague Dawley rats. A noticeable feature of these rats is that they naturally have a high incidince of tumors. The purpose of this post isn’t to argue one way or the other on GMOs. Rather, it is to point out the importance of critical thinking. A blind acceptance of this meme would have one arguing against GMOs not from a rational or scientific viewpoint, but from an ignorant viewpoint. Critical thinking is not what the creators of the meme want, as you well know. You, and I, as well as our many friends will automatically defer to that critical thinking; but we are not the intended target of the meme, nor are we by any means the majority of those who will see it. That meme is posted to reach the maximum of young impressionable, oh hell, also older impressionable, ignorant people who will not automatically defer to critical thinking. The intended targets for the meme will see it, digest it as is, and it will become gospel to them. The looney left is very good at this and are light years ahead of all others at this flooding the mediums with disingenuous lies such as that.